Sub-ohm coil for your Melo, Melo 2, Melo 3, Melo 3 Mini and Melo 3 Nano, Atlantis and Ijust by ELEAF. Available in 0.5 ohms, 0.3 ohms, Ti and Ni200. 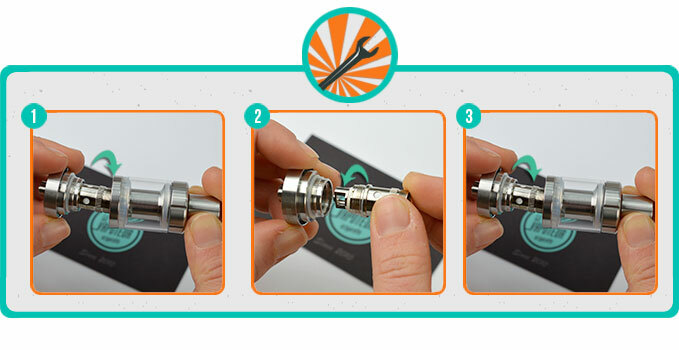 EC Eleaf coils are compatible with the Clearomisers: IJust2, Atlantis, Melo, Melo 2, Melo 3, Melo 3 Mini, Melo 3 Nano. Ni200 TC Head : coil made of Nickel 200 for the temperature control setting. Bonne résistance à grande longévité.